I bought this wonderful little object at the fair I went to on Saturday. 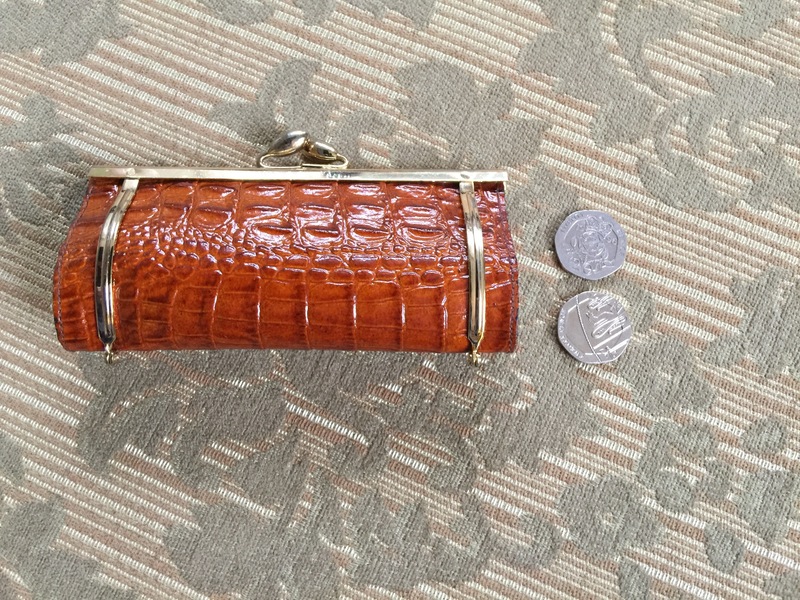 It called itself a coin purse for obvious reasons and it is just a little too small for a credit card. When I bought it I had no real purpose for it, it just pleased me. But I have discovered it’s destiny. I wrap my sturdy soldier in a small soft bag to travel but this still leaves him vulnerable as he has a relatively fragile bayonet (😳). So this is his travelling case now to keep him safe when he falls amongst the shambles that lies in the bottom of my daily bag, and makes him easy to find. I was totally zonked this morning, but I did get out eventually and organised the donation to the Festival Theatre where I had a long chat to a nice lady called Emma, over a pot of tea and biscuits. We talked about many things and she clearly loves her job in Malvern Theatre and why wouldn’t she? I love that the soldier travels in such style!